Catering Event: What else is on the Menu? Slice the hard part off of the bottom of the asparagus spears. 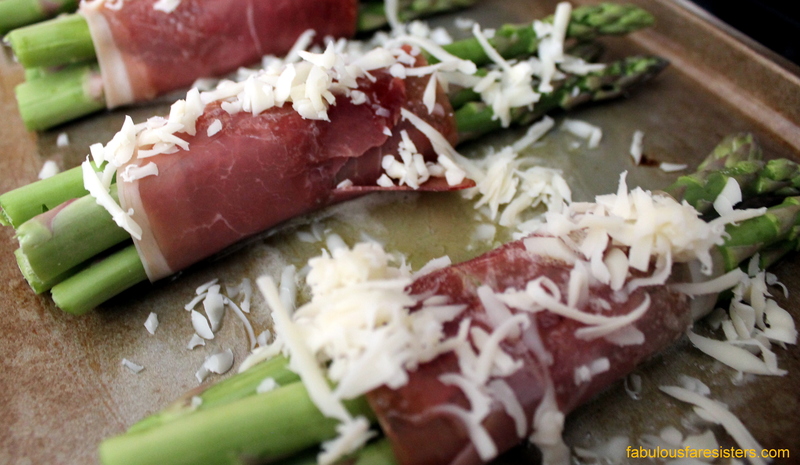 Wrap 3 asparagus spears with each slice of prosciutto. Lay on a baking sheet and drizzle with olive oil. Sprinkle with salt & pepper then with the shredded cheese. Place asparagus in the 400 degrees heated oven and bake 10-15 minutes until asparagus is tender and cheese is melted. Drizzle with Balsamic reduction (*Pour two cups balsamic vinegar in a saucepot. Bring to a slight boil; reduce heat to low and simmer about 20 minutes or until balsamic has reduced to about half). Makes 20 asparagus bundles. Peel the shells off of the hard-boiled eggs, rinse, pat dry and slice lengthwise; gently remove the cooked yolks and place them in a bowl. Lay eggs hole-side up on a large platter. Using an electric mixer, add enough mayonnaise to the cooked yolks to make them creamy. Add in Dijon mustard to your taste. Season with salt & pepper to taste. Scoop the creamy yolk mixture into a large plastic bag and snip the bottom corner. Squeeze mixture into each empty egg hole on the platter. Sprinkle with paprika and serve. Makes 40 deviled eggs. 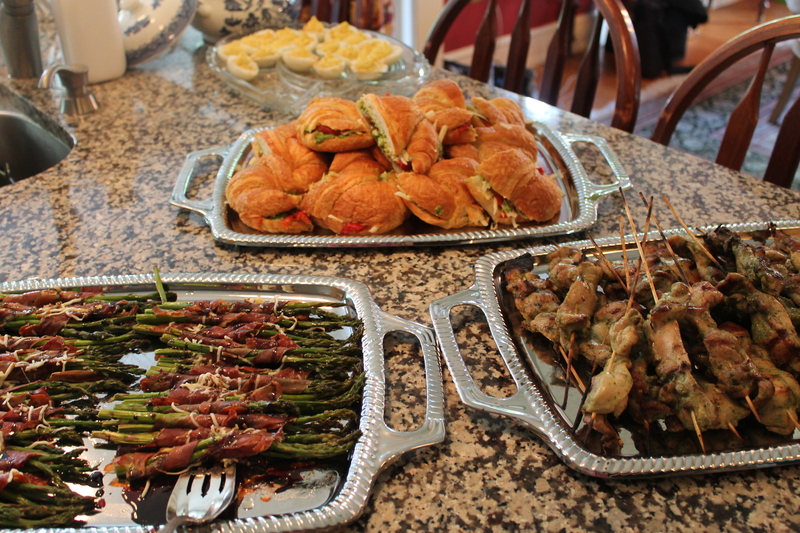 < Catering Event: What’s On The Menu? Now, I’m craving asparagus! Looks so delish!! I will. Maybe. I don’t enjoy cooking! Well done ladies, well done indeed!! How could it not be, it was full of everything I love!! Makes my mouth water…thanks for posting the recipes! It was a blast Linda. So much more fun working with my sister! Are you guys catering? That is great! This all looks delicious!